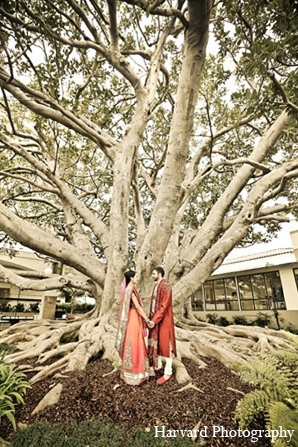 During a wedding portrait session with Harvard Photography, this couple take advantage of the sweet surroundings of the Fairmont Miramar Hotel & Bungalows that includes a whimsical fig tree that is 100 years old and 80 feet tall! 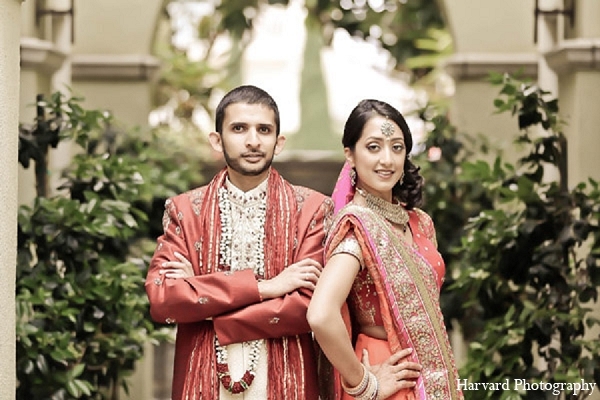 These adorable shots just give me all the more reason to drool over this Maharani's amazing wedding style. 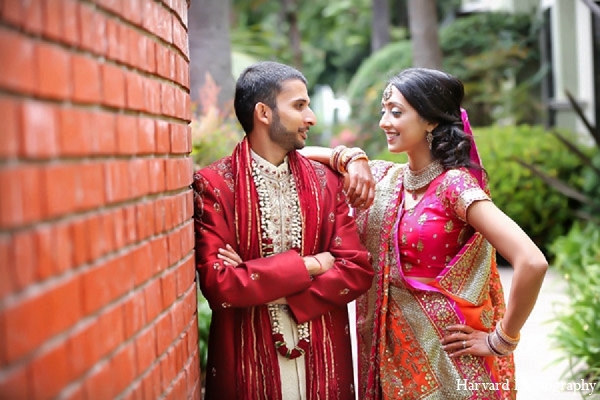 From her elegant, yet stylish hair and makeup to bold and bright sari, I'm in bridal fashion heaven! 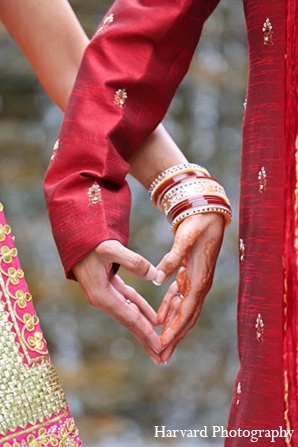 Her hubby doesn't disappoint either as he rocks a red and cream sherwani with matching khusse. 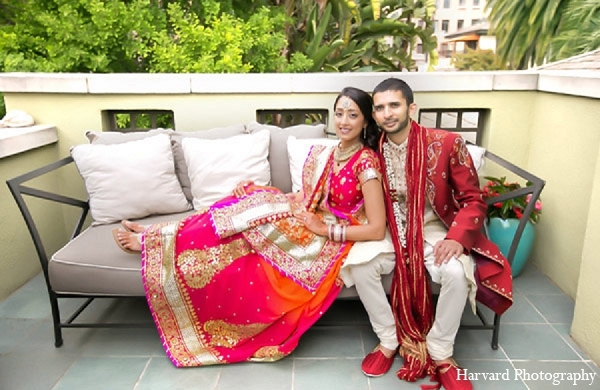 These trendy newlyweds get an A in my book! To check out more, head over to the gallery! You don't want to miss the precious pink and peach reception designed by PinkRockEvents, LLC coming up soon!